Do you need to add some chill to your Halloween party this year? Something classy but just a tiny bit freaky too? How about adding some vampires to your family tree? 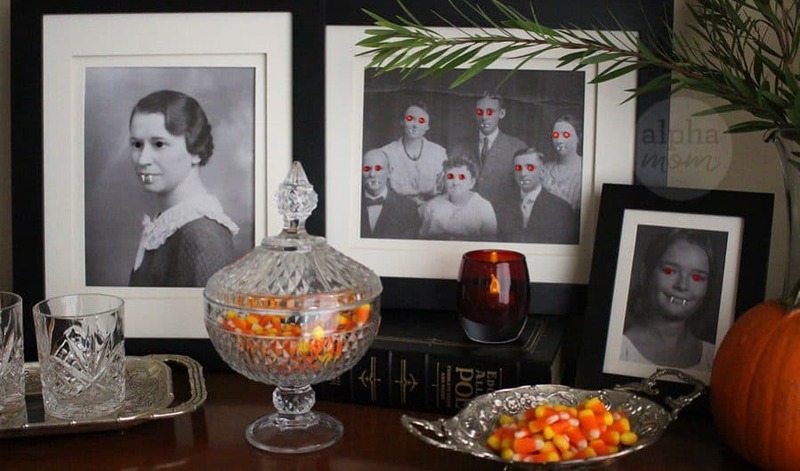 It’s the easiest Halloween craft and it’s guaranteed to make your guests take a second look. 1. First scan your pictures and turn them black and white, if they aren’t already. 2. Then carefully apply ruby gemstones to the eyes. 3. Cut out tiny teeth and add them to each person’s mouth. Really the hardest part of this craft is removing the sticker backing paper so you might need some tweezers if your portraits are very small. 4. 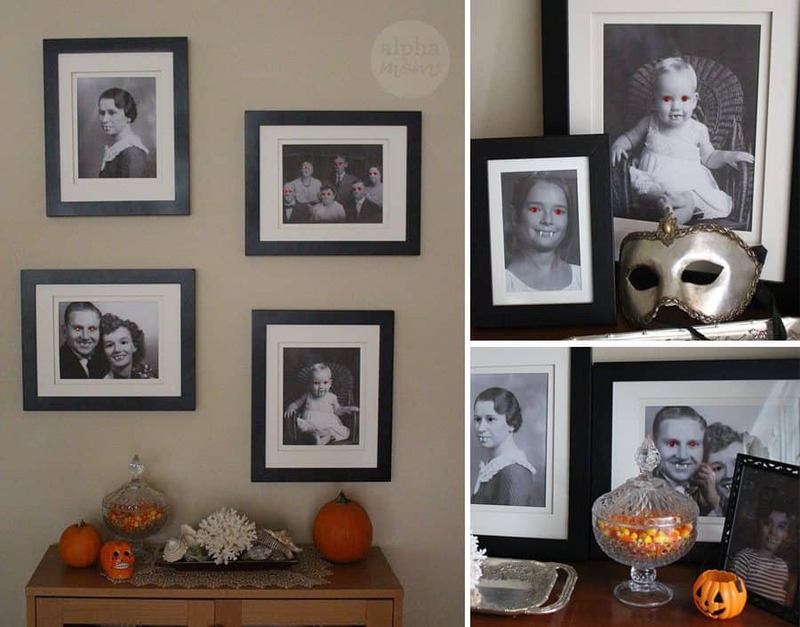 Then assemble your photos back into their frames and create spooky vignettes around your house! 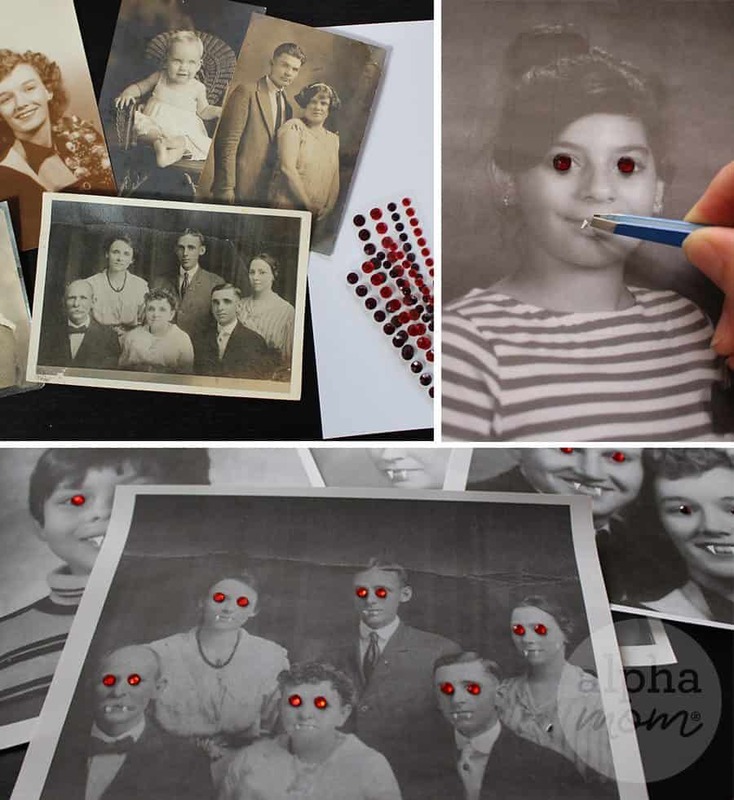 Your guests won’t want to turn their backs on these glowing red eyes! And if they recognize themselves, even better! 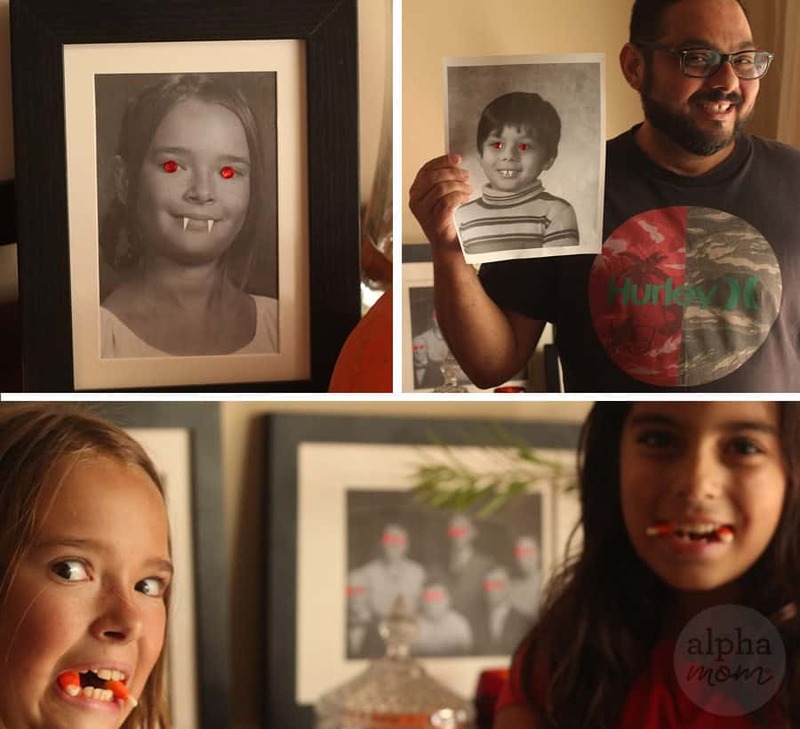 There’s nothing like a school picture turned vampire for the night. You always knew they had it in them.